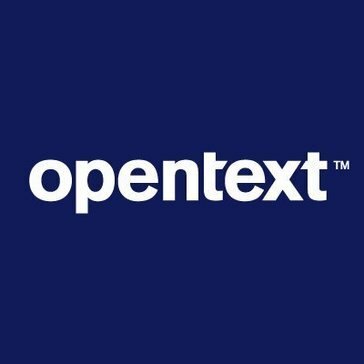 OpenText provides solutions in the core Enterprise Information Management (EIM) categories of ECM, BPM, CEM, Information Exchange, and Discovery. "Only standard enterprise-grade content management features at a very high premium cost"
The audit feature is probably the best feature of ECM (which most programs have already). This feature shows you who has accessed, downloaded, and viewed certain files / folders. Their desktop application is also a great feature, allowing you to drag and drop files into ECM. The best way to re-organize files is through the ECM desktop application. Security in terms of adding and removing privileges is terrible. Part of this is due to the setup of our current environment. If you want to update permissions for a specific folder, you have to push those privileges down to all files, which in some cases can take hours. When you attempt to push these permissions, a window pops up which cannot be closed or it'll stop updating permissions. The groups in ECM don't make that much sense either. SharePoint has the right idea with groups. When I create a group, I should be able to enable users to create folders under that group. I shouldn't need special permissions to create folders. Lastly, moving files is a pain. It's a difficult experience to re-organize files and folders. If you don't have the desktop application installed, it is not worth attempting to do. Drag and drop feature doesn't always work and sometimes ECM just fails to upload files with no error. Multiple people attempting to edit files, doesn't work. Multiple copies of the same files will show up sometimes. Review other solutions before going with ECM. New fileshare system integrated with SAP. "İf it's integrated well, it will pay-off. But God save you, if it is not." "Experient CS fror you Organization"
There are lot of features that I liked about CS. Record Mangement. There is a huge list of features can be used with CS. Support take to long to solve the issue, their repose is quick but solving the issue take all the time in the world. Some very small bugs cannot be solved as they has to go through developemtn cycle or bug fixing procedure. This product need a group of expert people to run sucessfully. This is not one man show. Biggest problem that we solved to move all the physical document into CS and applied the rem classification to those document. "An instructors point of view." As an instructor for this software I find it to be user friendly. I like that we are able to customize the software to our specific needs. I like that we can and bring in blocks of documentation at once. I don't like that it flashes every time we click somewhere. I don't like that we can't really use all the functions due to security issues in the government. I don't like that we are unable to remove some of the menu items that are not in use. I find that it brings confusion to the user and questions why it is still there. This system ensures that information is identified and organized within a logical, systematic arrangement. It allows related information to be kept together under the relevant business area and processes for quick access and retrieval. Based on a functional classification model. "Next Generation Document Management System"
OpenText Content Server covers all of the bases if you are looking for a truly enterprise class document management system. The system provides tight security control, extensive auditing and version controls, and fully support document retention schedules. The system is easy to use when configured properly and scales to very high workloads. The system can be architected as a distributed system with remote cache servers allowing a single URL domain name which serves the entire system. One great feature is that every item (document, folder, other) can be easily accessed if you know its unique ID number in the system, or a nickname that it has been given. The support costs are rather high when compared to newer offerings. While the system nails document management, I would not consider it a collaboration platform. I would also not consider using it as a development platform. Centralized document storage and collaboration across the enterprise. The very best feature is the data ID on every item in the system, let you validate you are looking at the right item. Link won't break when altering the title, moving or updating the item. Workflow is the next coolest thing been using them for the last 20 years and they are extremely stable. It's appearance out of the box and the fact regular content server doesn't have a calendar. Locations utilizing workflow for management of change, document approval, etc. As long as the workflow is not deleted you can always get back to it using the data id. "Strong Solution for the Enterprise ! " As one of SAP largest go-to ECM patrners, I can fully attest to the very strong ECM solution that OpenText brings to the table. I like their UI, their ability to integrate with SAP (and other leading platforms), along with the strong technical skill of people support surrounding their product lines. I have been exposed to other OpenText products as well, such as Portal Site Manager and Portal Content Manager that have strong ties to ECM...the integration you get OOTB with OpenText is amazing. It's literally "point & click" you way to the solution you need! Some of the solutions can be a bit expensive, but I believe OpenText is for the most part, highly competitive on pricing and can get the solution "in the ballpark" of where you need it to be. From my experience as a Solutions Manager, I have used OpenText to help provide additional functionality to my customers, particularly in the area of Site Management and Content Manager. The UX is very amazing and simple to use, which reduces customer deployment times, increases ROI and provides for a great LOB solution, no matter what area of business function you are in. Other problems that OT ECM solves is complexity...many organizations do not have a content strategy. OT ECM solves this problem, as having a content strategy has it's roots in solving many other business issues, such as IT Compliance and Security. "An excellent product, but complicated to maintain"
The document management software is really good, allowing us to set and manage document lifecycles. The project management module is also very helpful. Opentext tech support is very good. Maintenance of the indexing servers and file servers is quite complicated. The ECM everywhere module requires lots of setup, and a simple upgrade is a very long process. Use tech support to implement, take the time to do it right! "Easy to use, quick to learn and intuitive." My experience with the OpenText Web Content Management and Records Management is that both applications were inuitive and very easy to use and learn even if you no formal training was provided. My experience with the web content management system was that it was not compatible with all types of browsers. Not all organisations are able to continually upgrade their browsers due to various reasons for that particular organisation. Spend the time with the OpenText ECM consultants to relay your requirements to ensure all your needs are met. The benefits realised was the ease and speed at which web content could be published (sometimes with users with very limited technical knowledge). For records management the audit trail provides huge benefits on who and when documents were used, edited and deleted. What I like about Opentext is how easy it makes the flow of information between the company. It allows users to access the active members to information from the computer, or mobile web. It allows add security. To which helps us OpenText is to create, control and maintain the content of the page. "Review of Livelink ECM 9.7.1 (Author: Marcus Leja, B.Eng., MLIS, ERMm)"
All of the OpenText Livelink ECM 9.7 modules are top-tier in functionality and usability by both basic and advanced user communities. OpenText is a top-tier vendor in offering industry professional support with respect to organizational client issues involving document / records / information management. Their professional support is deeper than just technical implementation delivery. 1) Cost. This is one of the most expensive ECM solutions in the enterprise space and only delivers enough business value for cost to those in large organizations (500+ employees). 2) Small pool of ECM client services solution providers who are officially authorized to provide OpenText deployment and administration services to end-user communities. It's not easy for end-customers to find consulting firms with official Livelink / Content Server certifications. 3) OpenText hasn't fully yet realized the organizational change management requirements beyond technical delivery for the proper organizational adoption of their enterprise products. Their client solutions teams typically do a great job getting the product up and running for customers, but don't do a great job helping them work through the cultural change of unified information management within their organization. 4) Not enough direct industry presence in major customer locations throughout North America (i.e. not just Ontario and California). The OpenText ECM software platform provides the tools the electronic content management community needs with a user experience your business customers will adopt. OpenText, as a vendor, is very stable and well-capitalized. However, this solution suite is not the cheapest in the market, by far. Evaluate your enterprise information management program requirements well, and where your organization will see true value for money. Purchase an ECM solution based upon those needs, and the trust you place in your software vendor. 1) Records Management: records lifecycle automation and bulk content migration / logged deletion according to defined records retention schedules based upon ISO 15489 principles. Could not cost-effectively implement this RM Program requirement using previous enterprise software tools. This effort applies to both physical and electronic records. 2) Document Control: integration of engineering document control activity with a centralized electronic records repository, to unify execution of information management policy and program tasks across the organization and through multiple internal stakeholder communities. 3) Physical Objects Management: managing inventories and circulating content from physical records collections stored at third-party records centers. 4) eDiscovery: Flagging, locking down, and distributing to identified parties electronic documents due for use within legal dispute resolution. 5) Personal Information Protection: Providing enterprise compliance with Canada's Personal Information Protection and Electronic Documents Act for personally-identifying Canadian business content, while also complying with the U.S. PATRIOT Act for U.S.-sourced business data. "Great for most things - but sometimes you need to get your hands dirty with bespoke development"
OT ECM is a real jack of all trades - and also a master of a lot of them too! Flexible to suit most requirements and industries. Additional modules enhance its power and configuration is straight forward and intuitive. Configuration of Livelink/ CS10 gets you far - but only to a point. Most projects I have implemented have required a high degree of bespoke customisation/ development via EWS. Live/ Web reports are not for those seeking a serious reporting tool. Workflow can be tetchy! "Complexe tool but huge possibilities"
"Review of Livelink ECM 10 appilcation"
We have solved problems in a number of areas of this business, from Contract Management to Major Accounts transaction tracking as well as other big projects within the business. This product has become the go-to choice for all of the document management solutions needed within the company. Vignette API access is brilliant, you can access data from CDS and present it to whatever front end you wish. "Great product with small bugs"
My experience with the OpenText is from security point of view. We are using for archiving too and it works great. "Great ECM Product for Medium and Large Enterprise"
* We monitor all OpenText ECM reviews to prevent fraudulent reviews and keep review quality high. We do not post reviews by company employees or direct competitors. Validated reviews require the user to submit a screenshot of the product containing their user ID, in order to verify a user is an actual user of the product.